What a bouquet of riches unfolded! And what contrasting reactions! After a blanket silence of 8 years, the Tamilnadu Government resumed the selection of their annual KALAIMAMANI art-culture awards. Over 200 artistes were chosen and among them were a large list of deserving dance and music performers. Congratulations to all the awardees and may this be a fillip to more achievements. Amidst the clamour of applause and delight from many quarters to the newly minted titlists, came the dampener. Expected backlash, but nevertheless disappointing, was the immediate CASTE references to many names on the list of awardees. The social media discussion threads suggested that the Tamilnadu Government had become another "SABHA" by selecting many artistes from the FORWARD COMMUNITY. Another response was "WE CANNOT AVOID THEM IN ART AND CULTURE". Minority voices chipped in to highlight "THE EVILS OF THE HINDU DEVADASI SYSTEM", suggesting that the majority faith still endorses the dedication of young girls to temples in the guise of the flesh trade. And so as India marches to the polls, Tamilnadu residents are feeling the curdling of compassion and democracy in this hysterical and tired ranting of caste and faith. Dancers, especially in the classical world, are being looked at as FAR RIGHT, ANTI DEMOCRATIC and ANTI LIBERAL. This is an exhausting, endless cesspool that continues to swirl and muddy all dialogue. I was in New Delhi on the 1st of March when the news of the KALAIMAMANI avalanche was announced. My visit to the capital was to attend the Kalakshetra Alumni Association's long overdue meeting and celebration. Capably organised by current Chairperson Swagata Sen Pillai, the reunion also travelled to Chandigarh. Alma Mater is always an emotional touchstone. Nostalgia frequently sandpapers the rough edges of memory and presents past experiences with glossy halos. 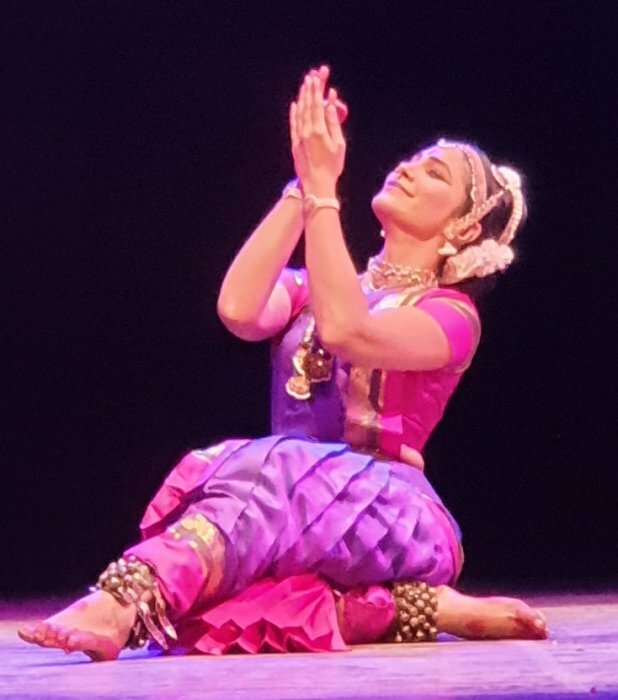 I felt a surge of pride and wistfulness when I watched several dancer-gurus on stage - in their 70s and 80s - in a tribute to Kalakshetra's Renaissance woman Rukmini Devi Arundale (Athai). 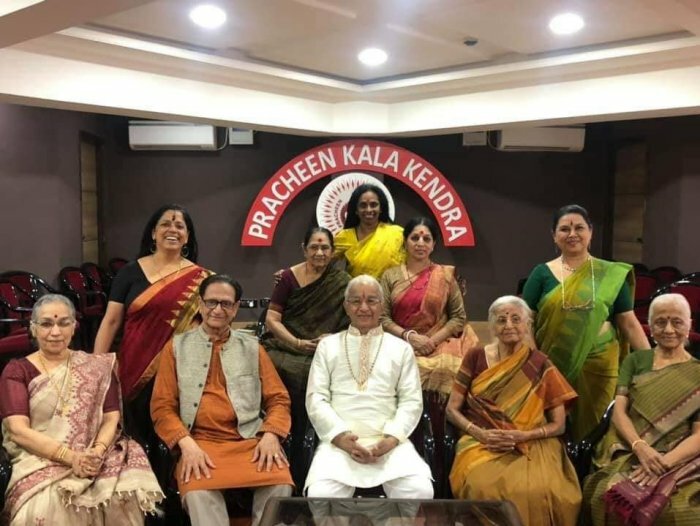 Coming together in Delhi's Triveni Kala Sangam auditorium, elders like NS Jayalakshmi, CV Chandrasekhar, Shanta and VP Dhananjayan and Balagopal shared small anecdotes and excerpts from their years in Kalakshetra. Actress Sukanya also participated, as did other notable alumni like Jayalakshmi Eshwar and Ananda Shankar Jayant. Amidst the roster of classical Bharatanatyam solos, my short excerpt on the millennial MAHALAKSHMI from MA3KA (2009) brought quiet cheers from the young and stoic silence from the seniors. Of course I knew what I had chosen to do and how difficult it is to "switch" tastes when confronted with mostly one kind of performance aesthetic. However, with Navtej Johar and myself as the only Kalakshetra alumni to be awarded the Sangeet Natak Akademi Puraskar for Contemporary Dance, it is almost a "given" that my dance statement needed to be in sync with both the occasion and my art. The irony was that while I was on stage for all of 12 minutes, the actual "handover" of the IAF captured pilot Abhinandan Varthaman was being played out. My feet were dancing and he was walking over the Pakistan border back to India! All of India was glued to the television! At moments like this, I wonder about the purpose of art? Can it really foster peace and engender a shared humanity? Can art be political without becoming sloganeering? Can the content convey a balanced calm without being co-opted by religion, faith, caste and class? The somewhat chaotic programming of the KAA, with many unsightly costumes, were all forgiven and forgotten because seated in the front row was my idol, Yamini Krishnamurthy, who, before the start, regaled me with anecdotes of meeting Athai when she was only 13. Yamini-ji's father was fed up with her hyperactive personality and took her towards DANCE to calm her mind. Sitting in Besant School classroom for two days, Yamini ran away from books and formal learning. "It was DANCE that brought me discipline and focus," she said. From a young girl who loved climbing trees and eating raw mangoes to the iconic diva she later became, it was Athai's guidance and careful eye that moulded, not just her, but more than 75 world renowned artistes from the shade of the Adyar Banyan Tree. If today the Kalakshetra style is the most recognisable, if men are dancing, if ensemble dance is being taught and practiced, we must acknowledge Athai. Kalakshetra did so much more than just invent the short practice sari, the wooden board and stick and the orchestra seated to the right of the dancer! The vision also embraced education, animal rights, ecology, design, textiles, craft, literature. It's high time that the narrative should engage with the pioneering vision and not be co-opted by the angry shrieks of "sanitisation", "cleaning up SRINGARA", and other SWACH BHARAT type sloganeering by apologists who mostly live outside India and commanding media attention. It seemed as if I was destined to be in New York City for the beautiful tributes to two wonderful dance artistes - DEBORAH JOWITT and BALASARASWATI. 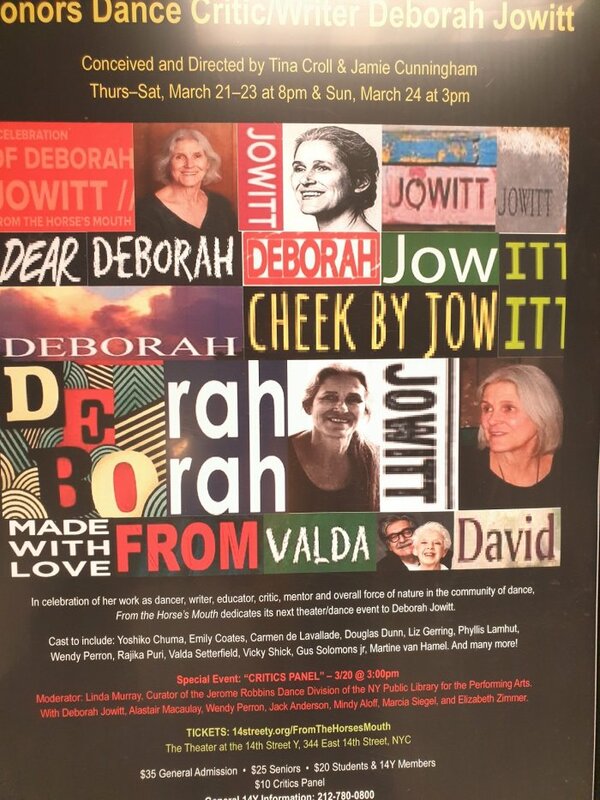 Deborah Jowitt does not know it (not until I told her) that she was one of the dance artistes who inspired me to do much of what I am currently engaged in. 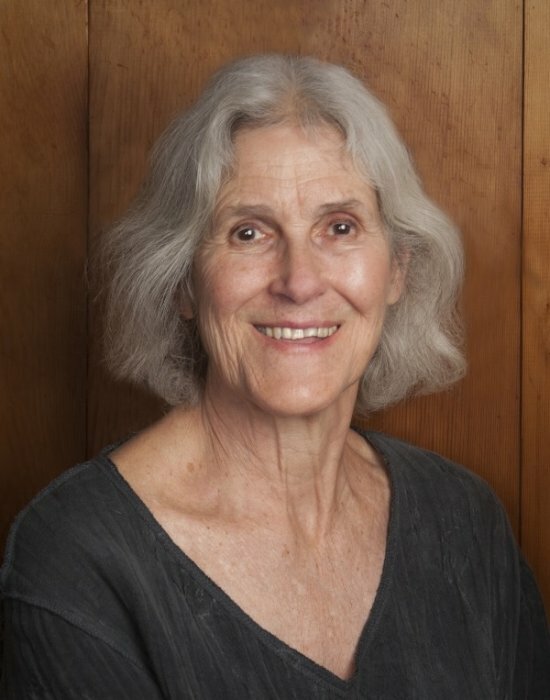 A dancer, actress, writer, organiser, mentor and all round class act, her reviews appeared regularly in the VILLAGE VOICE, a downtown NYC paper which was the emerging artistes' Bible in the 60s, 70s and beyond. Deborah continued to dance through all her other dance-connected activities and in March there was an emotional tribute to her contribution in the framework of FROM THE HORSES MOUTH. Created by Tino Croll and Jaime Cunningham, this hugely successful format brought almost every modern dance great in the New York area to turn up and PERFORM. With walking sticks, bent backs, hobbled toes, shuffling feet they danced. And spoke and praised Deborah for her wonderfully consistent care and nurturing of modern dance through her words and deeds. I wonder if we can have such a tribute to our remaining senior dance critics like Leela Venkataraman, Sunil Kothari and Utpal Banerjee. Chances are slim since in India we are more invested in getting the good review rather than developing an understanding of what these octogenarians experienced during their 50 plus years of a life in dance writing. Deborah Jowitt herself opened the show, dressed in classy black palazzos and Japanese asymmetrical tunic, kicking her leg to one side, lunging, bending and remaining totally present in the packed hall where every audience member was over 60 years! Imagine another evening with yet another full house for the inimitable BALASARASWATI. I had just written about a charming evening recently in the March editorial of an evening showcasing Bala's personal collections of sarees, dinner sets, perfume vials and musical instruments. In New York City, the great pioneers of American modern dance, Charles Reinhardt and Alvin Ailey star George Faison were just among the few who spoke with reverence and awe of Bala's genius. Already in her forties, Balasaraswati began her 25 year sojourn with the USA thanks to the patronage of Sam and Louise Scripps and wowed audiences and artistes like Martha Graham, Merce Cunningham, Jose Limon, Paul Taylor among others. New York Times dance critic Anna Kisselgof wrote about her first impression of watching Bala at the St Marks Dance Space and understanding how dance could transcend technique and time-space. Performing that evening were Bala's students Priyamvada Shankar and sister Nandini Ramani and her faithful American disciple Kay Poursine. In each rendering of Tamil Padams, I saw the gentle unfolding of poetry and abhinaya without fuss or pyrotechnics. The sound of the clarinet as a prelude was utterly enchanting as was the mastery of the Yaman Kalyani raga by Bala's younger brother T Viswanathan in the film BALASARASWATI that was screened. In today's world of youth, speed and hyper blur, the evening was a thoughtful tribute to a woman who stood strong and firm against the powerful tides of change and calumny that caused havoc to her colleagues and community in the early 20th century. 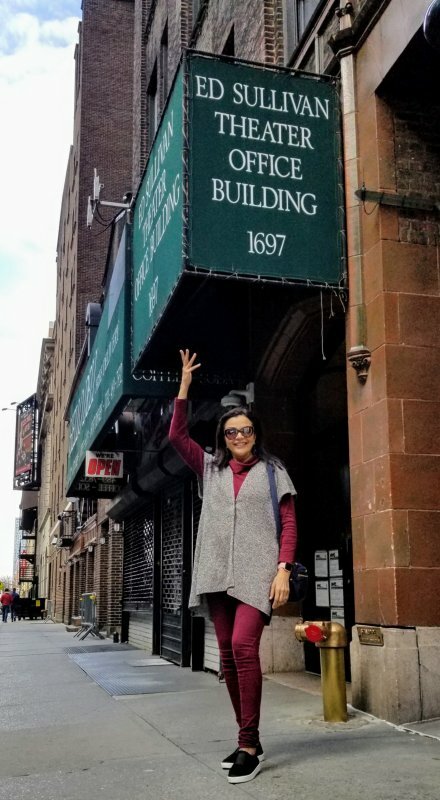 Bala's student Kamala Cesar, founder of Lotus Music and Dance (organiser of the event) should be proud of what she was able to achieve in 30 years of teaching and spreading Bala's Bharatanatyam in New York City. I realised that March offered me the opportunity to watch many senior dancers - well past their prime- stepping on the stage. Between the Kalakshetra event, Deborah Jowitt/FTHM and the BALA tribute, I had watched nearly 40 seniors! The Indian performers were in far better shape than their American counterparts and there were many young dancers in the Delhi auditorium compared to almost NONE at both New York shows. What was I actually seeing? Experience? Wisdom? Dedication? Passion? Devotion? Should these elders actually BE on stage? Was this an excuse for them to relive their glorious heydays? If dance today is all about fitness and athleticism, then none of the artistes I watched should have been allowed to perform. But what about experience? What about the pores that have absorbed LIFE in all its many pieces? Who are we to dismiss these precious moments and these octogenarian lives as "HAS BEENS" or "OLD HAGS". We will also get to that stage and will bristle at these pejoratives. What it left me with is a feeling of gratitude that I am not anymore in my 20s, 30s or 40s where the STHAYI BHAVA is only HIGH ANXIETY and HASTE! I have never noticed how boring and repetitive the feet of Bharatanatyam can be. Now before you all take out your daggers, please sheath them for a bit. If ONLY THE FEET are lit and the rest of the body is in the dark, you can understand what I am trying to say. I watched two wonderful dancers, Bhavajan Kumar and Lakshmi Parthasarthy Athreya in a duet along with Carnatic superstar Bombay Jayashree. While Jayshree occupied centre stage with her accompanists seated around her in a semi-circle, the dancers were placed behind a transparent cloth to the side and responded to many of the MURUGAN based songs. One of the sections involved only the feet and that is when I watched the various STHANAKA BHEDAS (foot positions), and realised how repetitive and boring they became. The entire body and hand movements are needed for the fullness of the Bharatanatyam movement and so watching the feet alone began to pall. I wished the dancers, who were lovely in their precise technique, could have watched themselves via video during rehearsal and pushed that section with more ABHINAYA in the feet. At New York City Center, tap dance superstar Michelle Dorrance created a single stream of light on the stage focusing only on the feet of her dancers. The rather repetitive tap sounds were illuminated by surprising foot positions and movements that created a visual and aural symphony for the thrilling piece JUMP MONK. When Bharatanatyam dancers collaborate with a Carnatic musician, why are they always given second place? I was irritated with the sidelining of Bhavajan and Lakshmi to the edges of the stage while Jayashree's musicians occupied prime positions around her in the large Music Academy auditorium. I wish they had the chance to come front and centre at least for one of the songs to perform with Jayashree seated directly behind them at an elevation, which would have made for a very interesting optic. In Pune, Kirti Ramgopal moved audiences with her quiet elegance and imaginative abhinaya. This Bengaluru based dancer deserves much more attention and praise. It is very good news for Bharatanatyam in its current state of utter confusion and decreasing integrity. Bharatanatyam dancer Uma Sathyanarayana was a revelation in her role as KRIPI, the wife of Guru DRONA in the English play KURUKSHETRA: When Things Fall Apart, directed by Gowri Ramnarayan. Her singing, acting, movement and dialogue delivery augurs well for an artiste who is coming into her own. ATTAKKALARI /Jayachandran have opened its brand new facility in Bengaluru. 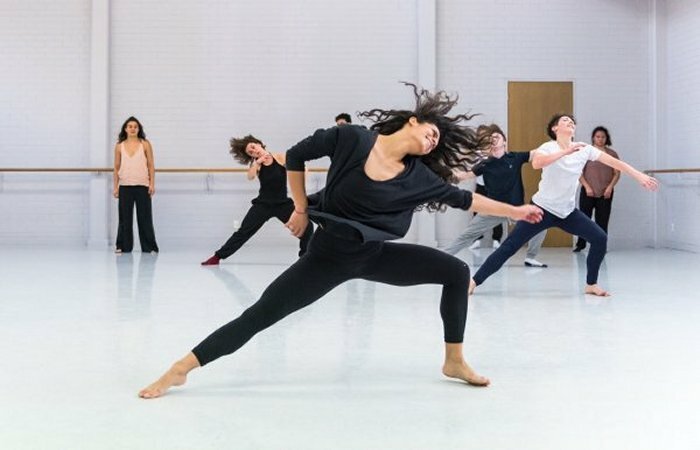 Multiple studios and spaces for contemporary dance, classes, talks and residencies was inaugurated in the Garden City. Vikram Iyengar of Pickle Factory, Kolkata, has a new initiative with the Australia-India Council which seeks to strengthen alliances with dancers, film makers and other allied disciplines. In New Delhi, Kathak dancer Shovana Narayan organised a tribute to the fallen soldiers of the brutal Pulwama terrorist attack. Many performers gathered to salute the brave jawans and laud their selfless service to the nation. Bijayini Satpathy is conducting dance fitness and conditioning workshops in her early forays of launching her solo career. Already in her forties, we are waiting for this incredible dancer to present a full evening solo. The soul of the NRITYAGRAM for decades, the dance world is watching Bijayini with eager anticipation. In New York, April features two dance festivals back to back. 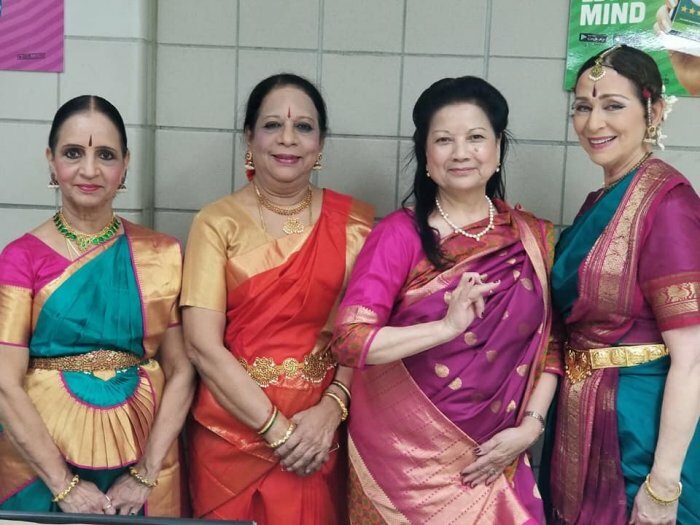 A Kathak festival at the Alvin Ailey studios and Rajika Puri's DANCING FOR THE GODS featuring Anuradha Nehru's Kuchipudi ensemble and Sujata Mohapatra from India. After the brutal mosque killings in New Zealand, students across campuses gathered to perform the MAORI HAKA DANCE, a mourning ritual for the departed spirit. P 3 US visiting artistes visas are going to get more and more difficult according to immigration attorneys in America. Already one diva had her visa rejected and later accepted, forcing the cancellation of an important US show. Attorneys are advising prominent artistes with national awards to apply for the O visa ( A R RAHMAN has one) to minimise organiser's angst and financial losses. Preparations and rehearsals for the annual ARANGETRAM tsunami have begun all over the world. Musicians prepare to earn enough to begin renovating their homes, buying a new car or paying for a wedding. Parents prepare to take out a large loan to satisfy their cultural dreams. Many gurus await expensive gifts and "tokens of gratitude". It is after all, only the classical dancer and the new bride that can dress and adorn themselves for that perfect SELFIE MOMENT. Sigh!!! I am excited about our new initiative with classical dance. Drawing upon the suggestions and ideas from my global travels and stimulated by my recent visit to Melbourne, I have decided to offer special short term programs aimed only at CLASSICAL DANCERS. The LEARNING LABS will focus on one specialist from outside the tradition who will provoke and share ideas and concepts that will help and aid practitioners from any style of classical dance. The 7 day immersive process will help professional artistes reflect on their artistic practice while enabling them to deepen their understanding of the body through a non-performative lens. The first lab will have Niharika Senapati, a multi-disciplinary performer who has worked with the acclaimed modern dance company CHUNKY MOVE. I invite gurus and teachers to look at this concept and share it with their students. Applications are invited but the final process will be on invitation only. More about A-L-L is on the site and on all our social media platforms. April brings on yet another WORLD DANCE DAY. A flurry of activity, focusing mainly on performances and more performances will unfurl across the South Asian dance world. Meanwhile, issues that swirl around dance will continue to be avoided. APRIL also marks the start of our 20th year on the World Wide Web. HAPPY BIRTHDAY NARTHAKI - you have grown to inspire, engage, stimulate and include the vast world of Indian dance and ideas. Thank you to my faithful team LALITHA VENKAT, SUMATHI and RAKSHA PATEL. May the estrogen energies continue and may we strive to inspire the millennials to endorse passion and excellence! I cannot avoid stressing the issue of our national elections in India. Starting in April it spreads across two months. All artistes MUST VOTE. Vacations, performances, weddings, personal emergencies should be put on hold to stand in line and cast your ballot. We are citizens first and we must participate in the process of democracy. Just dancing and singing about resistance and protest is not enough. We need to make the actual effort of marking our presence in a civil society. So dance, dream and VOTE! Happy New Year to all those celebrating April 13/14th on their calendars!